For Information on 2017 Memorial Day Activities at San Francisco's Presidio, check out the blog post. Almost every year I re-post the following poem which is engraved on a marker near the top of the National Cemetery in San Francisco's Presidio. The Presidio in San Francisco is now part of the Golden Gate National Recreation Area It is also is home to one of our national cemeteries. 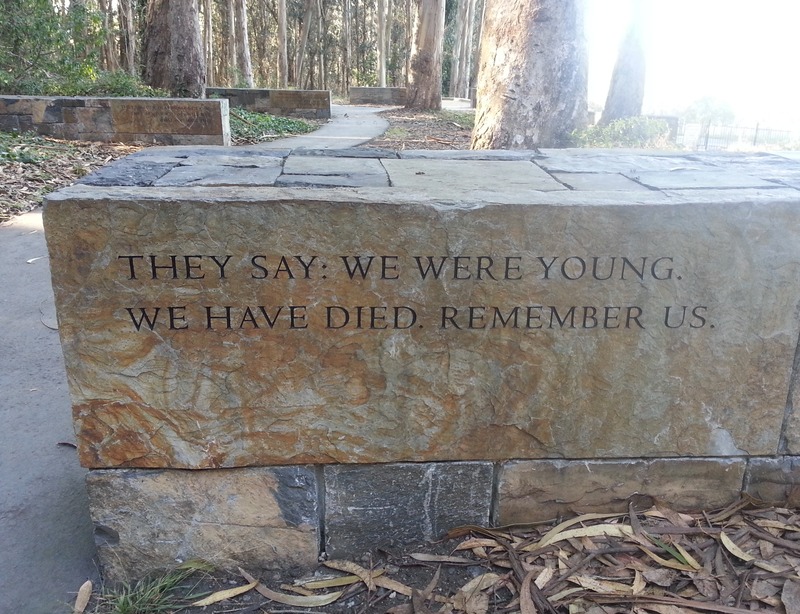 When exploring the Presidio, hiking or running on the trails, slow your pace when you near the National Cemetery, and take time to reflect on the poignant poem posted at the top of the hill, above the cemetery.